Longley Brearley was born to parents John and Sarah Ann Brearley in the village of Roberttown in Yorkshire, England in 1869. Brearley arrived in Sydney aboard the Rialto on 14 December 1883. He was 14 at the time. He married Esther Wheeler in Canterbury in 1897 and during the early 1900s, they lived at 34 Eveleigh Street, Redfern. Their son, John Wilson Wheeler Longley, was born in 1898 at their residence, followed by Edith in 1900 and Eva in 1904. John Brearley served in the Light Horse, February 1918 Reinforcements of the First Australian Imperial Force. From the 1930s, the couple lived in Hurstville and then Kogarah. Brearley died a year after his wife on 29 October 1942 at St George Hospital. Brearley’s immigration record indicates he was employed as an errand boy in York, before arriving in Sydney in 1883. He worked as a wood and coal merchant while living in Redfern. In later years he was listed as a fuel merchant until he became a carrier or driver from at least 1930. Longley Brearley was a Justice of the Peace. 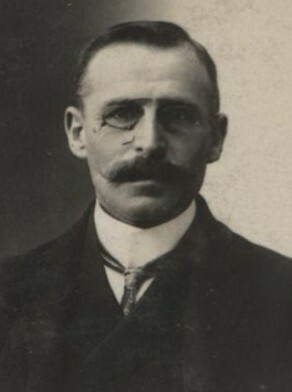 Brearley was elected alderman of the Golden Grove ward of the municipality of Redfern on 1 February 1908, serving until 1919.